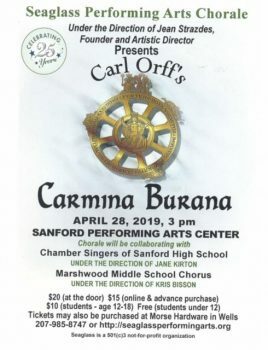 Seaglass Performing Arts Chorale, conducted by Artistic Director and Founder JeanStrazdes, will be performing Carl Orff’s Carmina Burana at the new Sanford Performing Arts Center at Sanford High School, Sanford, Maine at 3:00 pm on April 28, 2019. 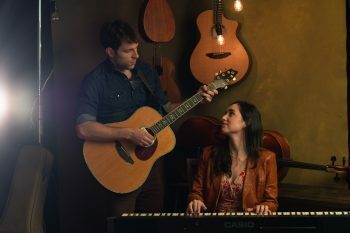 The performance will be one of the premiere concerts at the new center and is in celebration of Seaglass Performing Arts’ 25th anniversary performance year. The Chorale will be collaborating with the Chamber Singers of Sanford High School under the direction of Jane Kirton and the Marshwood Middle School Chorus under the direction of Kris Bisson. Seaglass Chorale is proud to present Carl Orff’s masterwork, Carmina Burana, featuring soprano Sierra Marcy, baritone Will Prapestis, and a children’s choir from Sanford Middle School. Carmina Burana is a scenic cantata composed by Carl Orff in 1935 and 1936, based on 24 poems from the medieval collection of the same name. The first and last movements of the piece are called “Fortuna Imperatrix Mundi” (“Fortune, Empress of the World”) and start with the very well known “O Fortuna”. Carmina Burana was first staged in Frankfurt, Germany, by the Frankfurt Opera on June 8, 1937, to wide acclaim. Since then, no other Orff composition has approached the renown of Carmina Burana, as evidenced in both pop culture’s appropriation of “O Fortuna” and the classical world’s persistent programming and recording of the work. In the United States, Carmina Burana remains intensely popular. Tickets for this single performance of Carmina Burana are $20 (at the door); $15 (online and advance purchase); $10 (students 12 to 18); free for students under 12. Tickets can be purchased online at seaglassperformingarts.org, from any chorale member and are also available at Morse Hardware on Route 1 in Wells. Seaglass is a 501(c)3 not-for-profit organization. 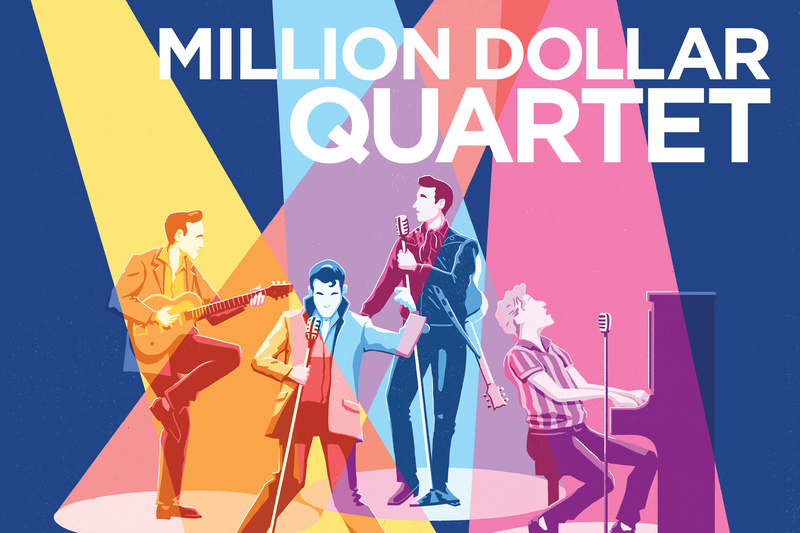 Greater Boston Stage Company proudly presents the beloved rock ‘n’ roll musical Million Dollar Quartet. Million Dollar Quartet brings to life the famed 1956 on-the-fly recording session at Sun Records that brought together icons Elvis Presley, Johnny Cash, Jerry Lee Lewis and Carl Perkins for one of the greatest jam sessions ever. Featuring a score of hits that includes “Blue Suede Shoes,” “Great Balls of Fire,” “Walk the Line,” “Hound Dog,” and more, Million Dollar Quartet will have audiences dancing in their seats. Directed by Associate Artistic Director Ilyse Robbins, performances run April 25 – May 19, 2019. The Million Dollar Quartet Cast features Melissa Geerlof, Nile Scott Hawver, Luke Linsteadt, Trey Lundquist, Matthew Pitts, Austin Wayne Price, Robert Saoud, and James Scheider. The Design Team is comprised of Scenic Designer Patrick Lynch, Lighting Designer Jeff Adelberg, Costume Designer Stephen LaMonica – a Young Company alum, Sound Designer John Stone, and Props Master Emme Shaw. Music Direction is by James Scheider. If Music Be The Food Of love, Play On! Give Me Excess Of It! The Lyric Stage Company and Actors’ Shakespeare Project will be co-producing a production of William Shakespeare’s Twelfth Night. ASP founding member Paula Plum will will direct. Paula has worked as an actor and director with the Lyric Stage since 1975. She has won numerous awards including three Eliot Norton Awards for Outstanding Actress. The cast will feature Rachel Bell;eman, Dominic Carter, Jennie Israel, Samantha Richert, Alejandro Simoes, Richard Snee, Hayley Spivey, Bobbie Steinbach, and Michael Forden Walker. 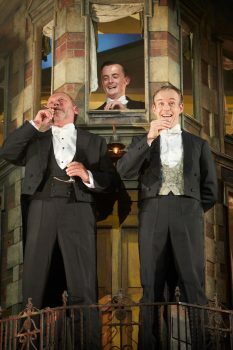 Twelfth Night will run from March 29 through April 28 at the Lyric Stage, Copley Square, Boston. Greater Boston Stage Company proudly announces the U.S. 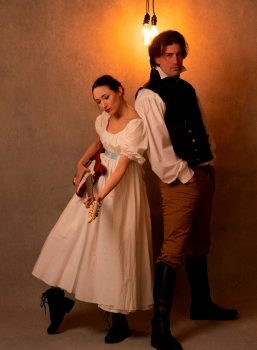 Premiere of Amiel Gladstone and Veda Hill’s, Onegin. Based on Pushkin’s masterpiece novel in verse and Tchaikovsky’s stunning opera, Onegin tells the love story of the innocent Tatyana and the self-obsessed aristocrat Onegin. This soaring musical adaptation begs you to answer the question, “Look around, look around, look around, Do you see someone worth dying for?” Directed by Producing Artistic Director Weylin Symes, performances run March 14 – 31, 2019. The Onegin Cast features Peter Adams, Christopher Chew, Kerry Dowling, Josephine Ellwood, Mark Linehan, Michael Jennings Mahoney, and Sarah Pothier. The Design Team is comprised of Scenic Designer Katy Monthei, Lighting Designer Jeff Adelberg, Costume Designer Deirdre Gerrard, Sound Designer John Stone, and Props Master Emme Shaw. Music Direction is by Steve Bass with choreography by Associate Artistic Director, Ilyse Robbins. Young Company Alum, Stephen Zubricki IV Assistant Directs. There will be complimentary Pre-Show Vodka Tastings at each of the Friday performances courtesy of Vodka Sponsor Deep Eddy Vodka. Single Tickets for Onegin: $50-60 Adults; $45-55 Seniors; $20 Students (with valid ID). Thrifty Thursday tickets cost $15 at the door and are available for the Thursday, March 14, 2019 performance at 7:30pm. For more information or to purchase tickets, call the Box Office at Greater Boston Stage Company at (781) 279-2200, or visit www.greaterbostonstage.org. 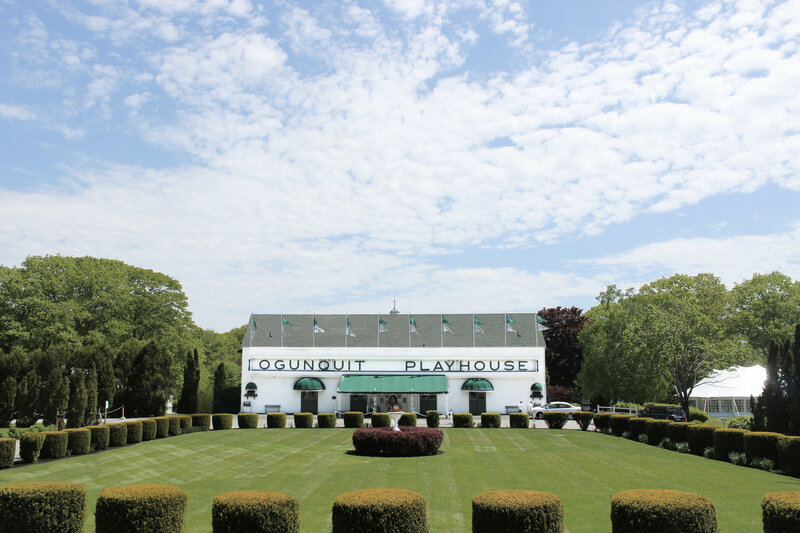 The legendary Ogunquit Playhouse is thrilled to announce a sensational lineup of shows for audiences in 2019. For the first time in over a decade the Playhouse will stage a non-musical play in addition to five musicals, including the return of the multi-Tony Award-winning, international sensation Jersey Boys; the quintessential tap dancing extravaganza 42nd Street; and the iconic and powerful jazz musical Cabaret. The play that will ignite the stage with murder and mystery is the beloved Agatha Christie’s Murder on the Orient Express. Closing out the season is a hilarious musical comedy that will be announced soon and a Tony Award-winning, smash hit musical which will be announced in May. Season ticket subscription packages are on sale now and the only way to guarantee the best seats for the best price to these exciting shows! Prices start at only $250 for a five-show package and $150 for a three-show package. Gift certificates are also on sale online and through the Box Office. Individual tickets are on sale exclusively for Ogunquit Playhouse members the week of Monday, March 4. Individual public ticket sales begin Monday, March 11 with prices starting at $36. Come and meet those dancing feet! The ultimate tap-dancing, show-biz musical sensation, 42nd Street celebrates Broadway, Times Square, and the people who make magical musical theatre, on stage June 19 through July 13 and featuring Emmy Award-winner Sally Struthers. The Ogunquit production will be staged by Randy Skinner, the creator of the Broadway revival and recent West End smash hit. Aspiring chorus girl Peggy Sawyer comes to the big city and soon lands her first job in the ensemble of a glitzy new Broadway show. Mayhem and mirth ensue when just before opening night the leading lady breaks her ankle. Will Peggy be able to step in and become a star? The score is chock-full of Broadway standards, including “You’re Getting To Be A Habit With Me,” “Dames,” “We’re In The Money,” “Lullaby of Broadway,” “Shuffle Off To Buffalo” and “Forty-Second Street.” Be sure to shuffle off to Ogunquit for this delightful and dazzling musical! Decadent nightlife meets dangerous times at Berlin’s alluring Kit Kat Klub in Cabaret, on stage July 17 through August 10. 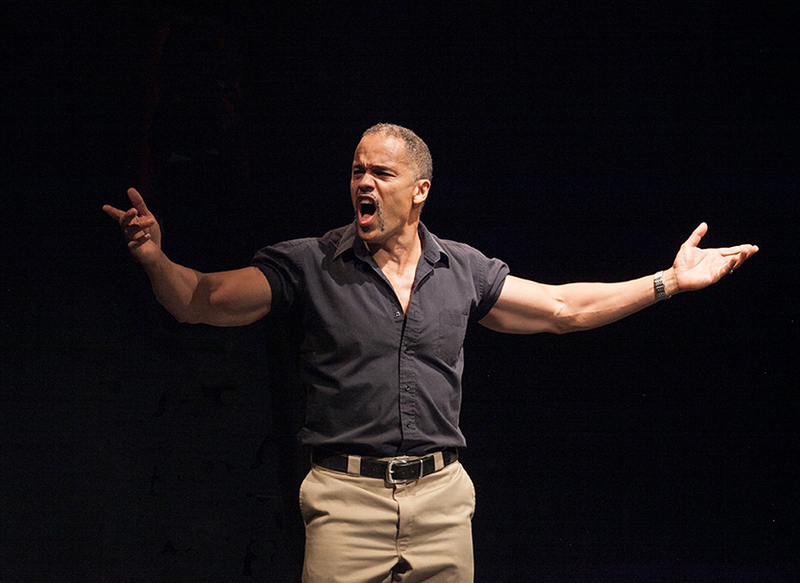 The Ogunquit production is based on the searing Sam Mendez musical recently revived on Broadway and is set in the cabaret underworld on the eve of Hitler’s rise to power. This unforgettable musical tells the story of Cliff Bradshaw, a young American writer newly arrived in Berlin, who falls in love with cabaret singer Sally Bowles. Their romance sizzles amid the back room culture of the cabaret and the tumultuous atmosphere of pre-Nazi Germany. Cabaret is a raw and powerful jazz musical that explores the dark life of Berlin’s natives and expatriates as Germany slowly yields to the emerging Third Reich. 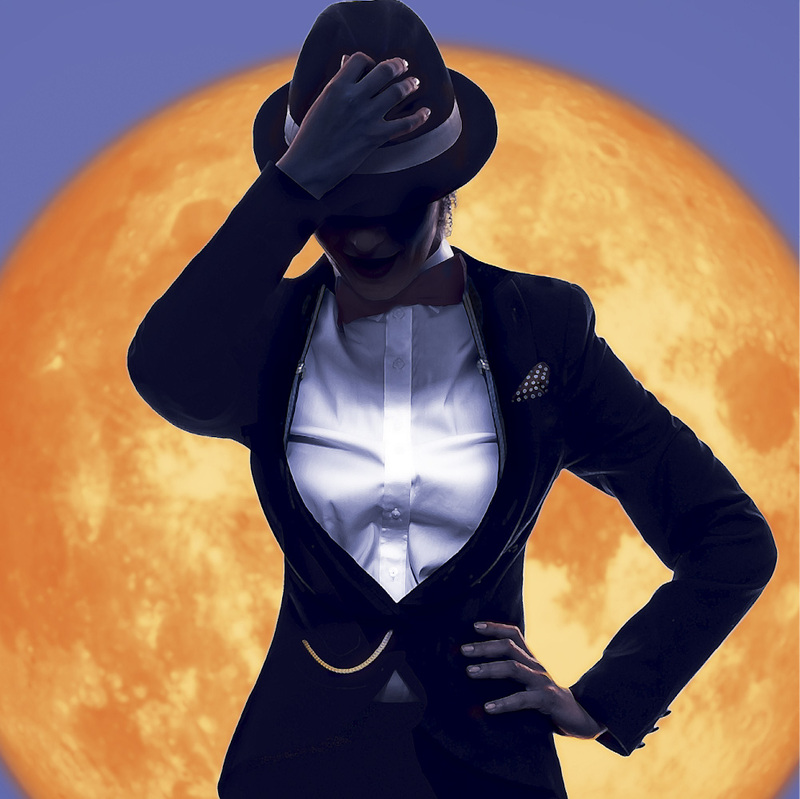 The show has had numerous Broadway and London revivals and is the winner of multiple Tony Awards, including Best Musical and Best Original Score for Kander and Ebb’s compelling musical numbers which include, “Willkommen,” “Money,” “Tomorrow Belongs To Me,” “Maybe This Time” and “Cabaret.” Come to the Cabaret, your table’s waiting! All aboard! The exotic Orient Express is hurtling down the tracks… to a murder! Agatha Christie’s Murder on the Orient Express hits the stage August 14 through August 31 with a train full of suspects and an alibi for each one. It’s the perfect mystery for detective Hercule Poirot, n’est-ce pas? Wax your mustache and hold on to your passport! Newly adapted for the stage from Agatha Christie’s masterpiece by two-time Tony-nominated playwright Ken Ludwig, the beloved mystery unfolds in a fresh and thrilling way. This exciting play will take audiences on a suspenseful, thrilling ride aboard the legendary Orient Express! Don’t go off the rails – hop on board today! Closing out the season is a hilarious musical comedy on stage from September 4 through September 14 that will be announced soon and a Tony Award-winning, smash hit musical that will run from September 18 through October 27, which will be announced in May. Stay tuned – you won’t want to miss them! Merrimack Repertory Theatre (MRT) will present the world premiere of The Heath by Lauren Gunderson, one of the most produced playwrights in America (Silent Sky, I and You, Miss Bennet: Christmas at Pemberley) from February 13 to March 10 at the Nancy L. Donahue Theatre at Liberty Hall, according to Artistic Director Sean Daniels and Executive Director Bonnie J. Butkas. A new play with music about the playwright’s relationship with her grandfather, The Heath is directed by Artistic Director Sean Daniels (The Lion, Miss Bennet: Christmas at Pemberley, Little Orphan Danny). 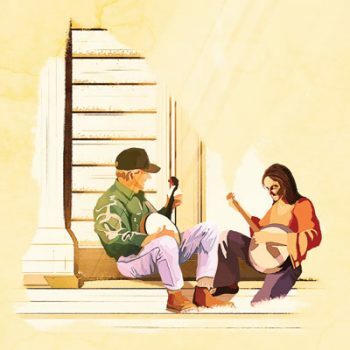 The play includes banjo, four original songs, and several traditional tunes. 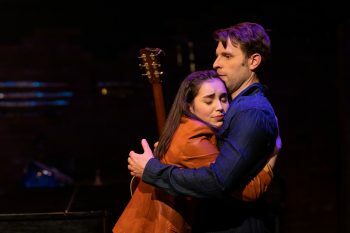 A classically trained musician-turned-actor, Barnett has been studying the banjo for the past three months in anticipation of the show. A native and resident of South Carolina, her credits include The Rocky Horror Picture Show; Vanya, Sonia, Masha and Spike; Sweeney Todd; and Les Liaisons Dangereuses. George Judy is the Gresdna A. Doty Professor of Theatre at Louisiana State University, as well as the former head of the MFA Acting Program there and former Artistic Director of Swine Palace, LSU’s Equity theatre-in-residence. He has appeared in numerous Shakespeare productions, including King Lear, The Tempest, The Merry Wives of Windsor, and A Midsummer Night’s Dream, at the John F. Kennedy Center for the Performing Arts in Washington, D.C., Royal National Theatre in London, and the Utah, Texas, and Kentucky Shakespeare festivals, among many other venues. FUN FACT: George Judy was Sean Daniels’ acting coach in college. The Heath by Lauren Gunderson runs from February 13-March 10, 2019. For more information visit www.mrt.org or contact the MRT Box Office at 978-654-4678. ArtsEmerson, Boston’s leading presenter of contemporary world theatre, is honored to welcome the U.S. tour of J.B. Priestley’s classic theatrical event, An Inspector Calls. Returning to direct his National Theatre masterpiece revival is Stephen Daldry (Oscar-nominated director of The Reader, The Hours and Billy Elliot) who also brings the iconic grand-scale set from the West End to Boston. This production of An Inspector Calls is the longest running revival of a play in history, seen by over 4 million theatergoers worldwide and winning an unprecedented number of awards including three Olivier Awards, four Tony Awards and seven Drama Desk Awards. Hailed as the theatrical event of its generation, winning more awards than any other production in history, An Inspector Calls has thrilled more than 4 million people worldwide. When Inspector Goole arrives unexpectedly at the prosperous Birling family home, their peaceful dinner party is shattered by his investigations into the death of a young working-class woman. His startling revelations shake the very foundations of their lives and challenge audiences to question their own consciences. The production runs two weeks at the Emerson Cutler Majestic Theatre, located at 219 Tremont Street in downtown Boston. Tickets may be purchased online at www.ArtsEmerson.org, by phone at 617.824.8400, or in person at the box office. ArtsEmersonwill host the return of the award- winning American Moorwritten and performed by Keith Hamilton Cobb, an urgent solo work examining the experience and perspective of black men in America through the metaphor of William Shakespeare’s character, Othello. The 2018 IRNE and Elliot Norton award-winning play received wide-spread acclaim from Boston audiences and critics – American Moorplays ArtsEmerson for two weeks of performances, April 10–21, at the Emerson Paramount Center Robert J. Orchard Stage.